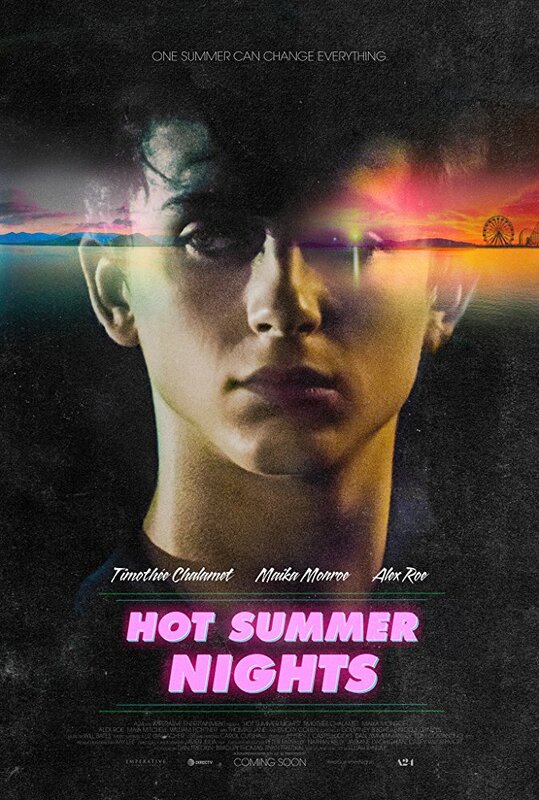 Clearly inspired by the style of a Martin Scorsese film, Hot Summer Nights is a try-hard that falls flat on nearly every end, focusing too much on style and too little on fleshing out interesting characters and a compelling plot. It benefits greatly from its attractive cast, strong performances and vibrant soundtrack, but that’s all Hot Summer Nights really has going for it. Good effort. Hot Summer Nights greatest attribute is its absolutely killer young cast. Timothée Chalamet was a multiple award nominee (including the Oscar and Golden Globe) for his performance in Call Me By Your Name while Maika Monroe impressed me in the fantastic horror film It Follows. She co-starred with Alex Roe in The 5th Wave and I also recognized Emory Cohen from his role in The OA. Throw in some killer cameos from William Fichtner and Thomas Jane, and you have your deck stacked. No posts have been made on this movie yet. Be the first to start talking about Hot Summer Nights!